The iconic redstone torch not only lights your way in Minecraft, but also charge your USB devices in a pixelated way. Sounds cool? Let’s keep going for the Minecraft redstone torch USB wall charger. 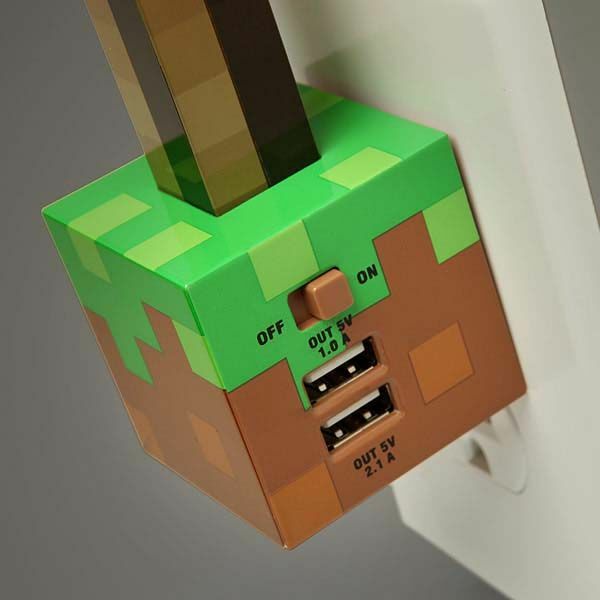 This is an officially licensed and pretty fun USB wall charger inspired by Minecraft, a popular sandbox building video game. The USB charger measures 2″ deep by 5″ tall by 2″ wide and as we can see from the images, it’s shaped as a redstone torch that is placed on a normal grass block, and exquisite coating and profile deliver us accurate pixelated details and gorgeous colors from its original look. 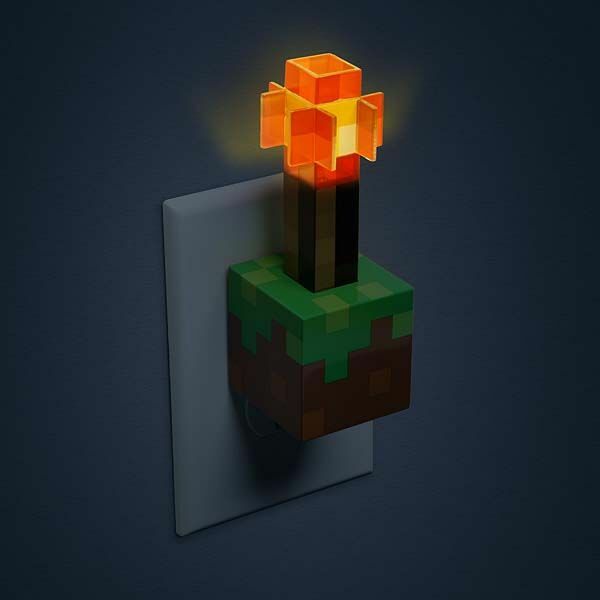 The Minecraft themed USB charger comes equipped with one 2.1A USB port and one 1A USB port in order to charge your smartphone and tablet at the same time, and as a pixelated redstone torch, it also features an orange LED bulb, so you can also use it as a little night light to locate your charging devices in the dark, and its switch allows you to freely activate the iconic item from the world of Minecraft. 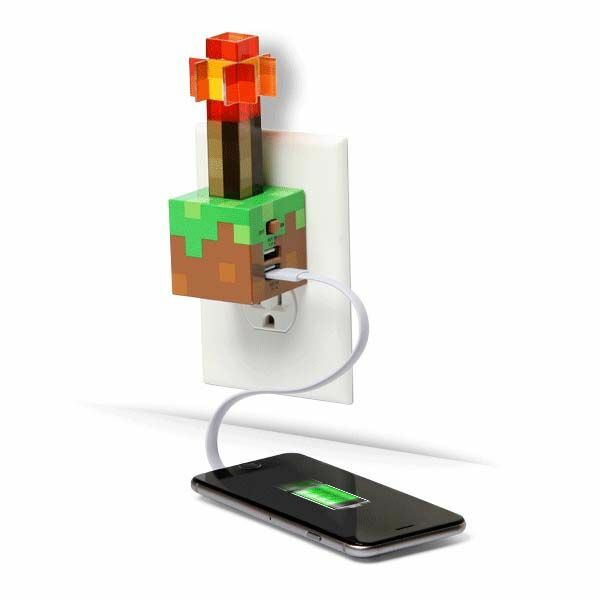 The Minecraft redstone torch USB wall charger is priced at $29.99 USD. If you’re interested, jump to ThinkGeek Amazon shop for its more details. BTW, also don’t miss Starcraft 2 Protoss Pylon USB charger and more related cool stuff by following tags.